Knowledge and experience go hand in hand in real estate. With these two tools, Elaine looks forward to helping you achieve your personal real estate goals. 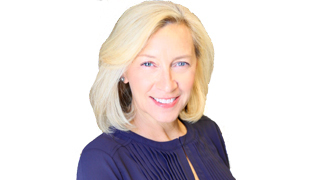 Specializing throughout Nashville and Williamson County, Elaine’s insight into the current market will be invaluable whether you are buying or selling a home. From first time homeowners to luxury homes, she will listen to your needs and tirelessly seek out the ideal property. Her professional relationships are built on genuine respect, integrity and enthusiasm. In her first year as an Affiliate Broker, she quickly became a multi-million dollar producer. With the expertise of Worth Properties and Elaine’s client based dedication, you can be assured of success. However, it’s her easy going nature that makes the experience a fun one! Former teacher with the Nashville Public School System.